This past August I had the pleasure of exploring an area of Colorado called the Chicago Basin with my friends Tim & Catone. The area is very remote, requires at least two nights and includes lots of hoofing it to access the Basin. 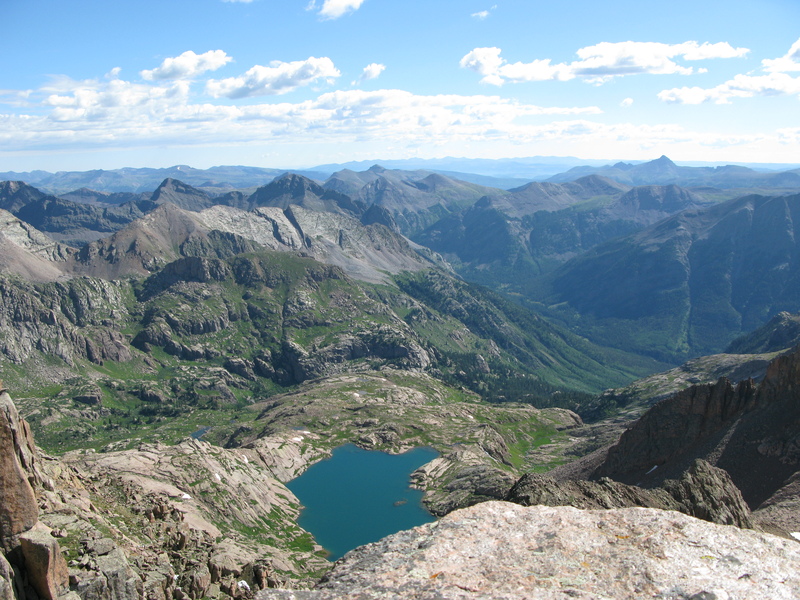 The main back country camping area provides access to three of the states most remote 14ers (Windom, Sunlight and Eolus). The Basin is absolutely stunning and I can’t wait to visit again. 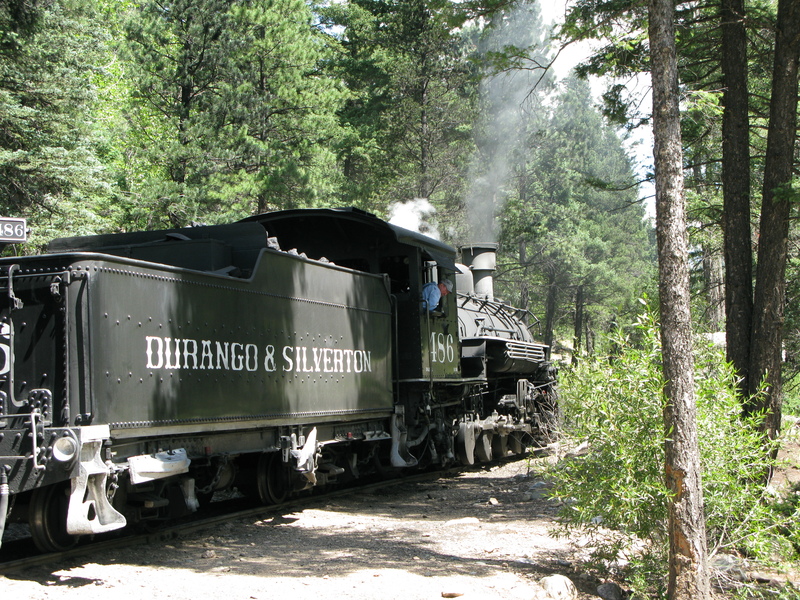 The best way to experience the Basin is to utilize the Durango Narrow Gauge Railroad. The train will drop you and your pack off at the start of the main trailhead, cutting the hike to the main camping area down to ~8 miles. The train is a true piece of Colorado history operating just like it did back in 1880. The train conductor operates in a very casual manner, as long as you paid for a full round trip ticket you can pretty much take it out of the Basin any day you want. So, once you get there and decide to spend another day enjoying the area, don’t worry about the date on your ticket :). As an added bonus, if you end up taking a different route out of the Basin simply flag the train down at any point in the valley and they’ll stop and pick you up. The Basin supports a very healthy goat population that has been desensitized to humans. 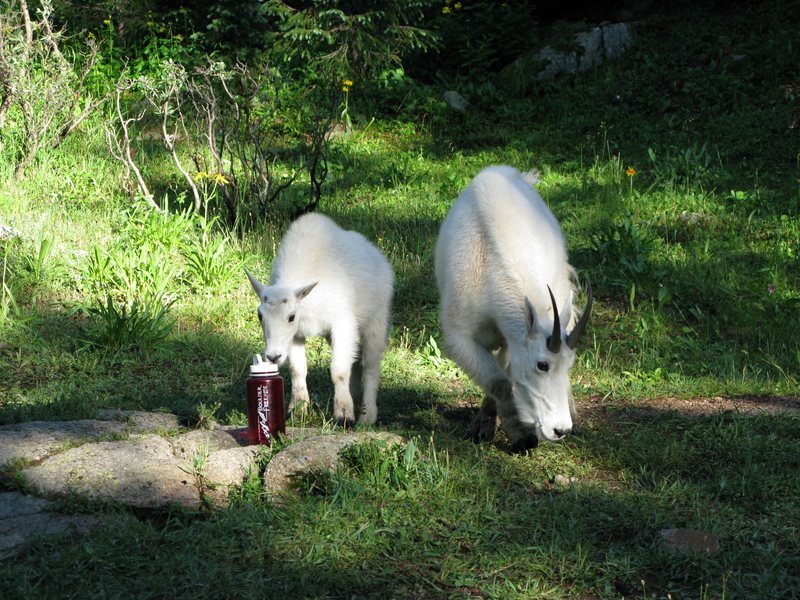 Make sure you goat proof your camp before heading out to bag the 14ers. The goats are very aggressive at sniffing out your scraps of dropped food and love the salt in your urine. Our camp was overrun by goats multiple times. The goats are harmless, but you can help minimize the blending of the worlds by hanging left over food instead of burying it and urinate on large rocks instead of the dirt. If you haven’t already bagged these peaks, make sure you put them on your list for next year. Exploring the area is definitely worth 14 hours in a car, 5 hours on a train, 16 miles by foot (not including the miles required to summit the peaks) and three nights in a tent at 10,000 feet. Enjoy! This entry was posted in Nature and tagged 14ers, Backpacking, Colorado on November 3, 2011 by cpiekarski.